We see lines drawn as deeply as Apple vs. Android, Mac vs. PC, Hatfields vs. McCoys, and peanut butter vs. jelly in the 2019 Volvo XC40 and 2019 Acura RDX luxury crossover SUVs. Both represent some of the most forward-thinking tech from their respective automakers, but delivered in very different ways. By the numbers, the RDX beats the XC40 convincingly: 7.2 to 6.4. But we wouldn’t be here if it were that easy. A deeper dive into the numbers reveals a tight race that’s closer than the numbers would indicate. The comparison between tech giants is intentional; the XC40 and RDX offer bleeding-edge tech presented in fundamentally different ways. The RDX begs for customization with its new infotainment system, a dizzying number of features splayed across a 10.2-inch screen that can be split, sliced, or smartphone compatible. It’s complemented by an available head-up display that projects some audio and navigation on the windshield ahead of the driver. Infotainment commands are received via a small touchpad controller near the center console that has its fans—and its critics. The Volvo takes a different tack. Infotainment begins and ends on a 9.0-inch, vertical touchscreen that the automaker calls Sensus. The Volvo system is simpler, and perhaps more intuitive, but lags compared to the Acura system. Sensus plays well with Apple CarPlay and Android Auto too, but it’s presented as a window within a window—some may not like its small display that's buried under other vehicle functions. The RDX starts at more than $38,000 while the XC40 costs roughly $3,500 less. Volvo offers the XC40 as part of a “subscription” service that lets owners swap out their cars after a year. An XC40 subscription starts at $600 a month, which includes insurance, maintenance, and wear-and-tire items. The XC40 is better equipped in base versions: 18-inch wheels, automatic emergency braking, leather upholstery, power adjustable driver’s seat, a 12.3-inch digital instrument cluster, Bluetooth connectivity, and the 9.0-inch touchscreen. The Acura RDX skips the leather but offers the 10.2-inch center screen, 12-way heated front sport seats, a panoramic sunroof, a power height-adjustable tailgate, LED headlights, and 19-inch alloy wheels. The RDX also trumps with its base 272-horsepower turbo-4 and 10-speed automatic. It’s thrilling to drive for good reason: the engine was lifted from the hot Civic Type R. The XC40’s base engine is a relatively pedestrian 187-hp turbo-4 and 8-speed automatic. A higher-power, 248-hp turbo-4 can be fitted under the XC40’s hood but it drives the price past $37,000—right into the RDX’s clutches. Both are fun to drive, but back-to-back drives revealed the XC40 had a small edge: It steers a little better and it’s lighter. The RDX is a little bigger inside and more comfortable for adults, however. The RDX has more rear seat leg room (2.3 inches more than the XC40) and more cargo room (29.5 cubic feet vs. 20.7 cubes). The XC40 is smarter about its space, though. Speakers were placed under the dashboard instead of in the door panels for more room in the pockets and a trash bin in the center console and deep pockets swallow plenty of everyday detritus that pile up. By comparison, the RDX doesn’t feel as efficient. A thin-feeling drive mode selector knob takes precious real estate under the infotainment screen and dour interior colors make the RDX feel smaller than its dimensions. The XC40 offers neon orange carpet, if that does anything for you. Ultimately, both crossovers arrive at similar conclusions by different means. They’re fun-to-drive compact luxury crossovers with an emphasis on tech. The answer to what suits you best may vary from person to person as much as what kind of phone is in their pockets. Ultimately, the RDX has a perfect safety scorecard and it gets our nod for now until the XC40 is comprehensively crashed. Both the RDX and XC40 have similar standard safety equipment, with one key exception. On top of the mandatory belts and ‘bags, both crossovers feature automatic emergency braking and active lane control—lifesaving stuff. The RDX goes further by making adaptive cruise control standard; the XC40 asks $1,400 more as part of a driver-assist package. But we don’t see a bad choice between the two and our editors were as divided picking between the RDX and XC40 as they were deciding between ranch or blue cheese. 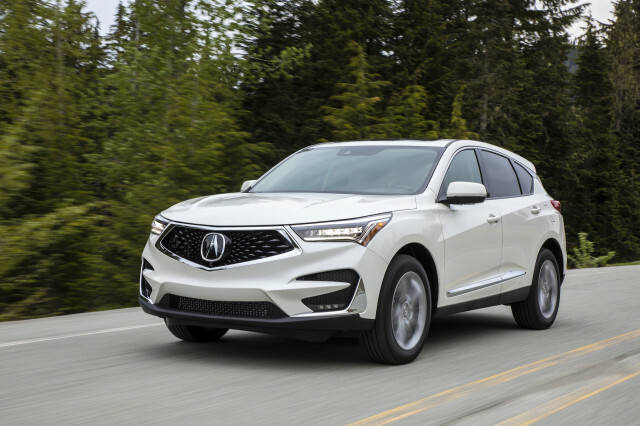 Acura has handsomely reformatted the 2019 RDX, and turned its formerly modest crossover into a bit of a statement piece. 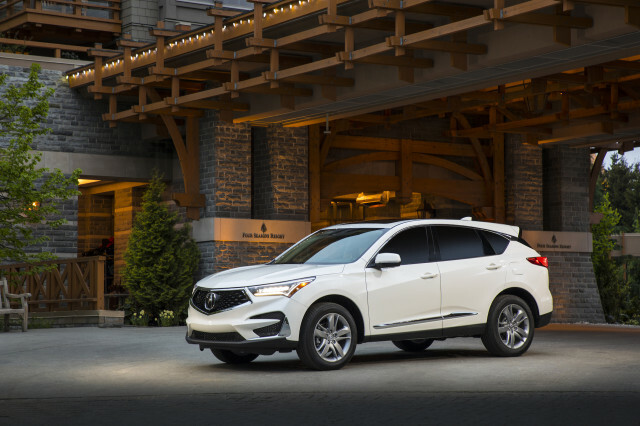 With the 2019 RDX, Acura points its dynamic magic wand at Euro crossovers, and nearly hits the target. The RDX has a more spacious second-row seat, and grippy 16-way chairs in top models, but needs more back-bench support. Most data points to the 2019 Acura RDX as being one of the safest cars on the road today. A well-equipped base 2019 Acura RDX will suit most drivers, but the Advance model packs on the tech gear. The Acura RDX has turbo-4 power and good EPA fuel-economy ratings. There are no Acura dealers in our network that are located near the ZIP code. We have sent your request for price quotes on the 2019 Volvo XC40 and 2019 Acura RDX to the dealers you requested. They should be in touch shortly. 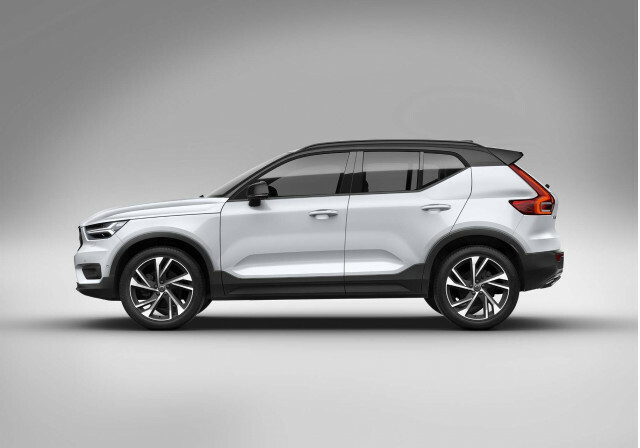 Your request for a fast, free price quote on a 2019 Volvo XC40 and 2019 Acura RDX is in process. The CarsDirect Dealer(s) listed below will contact you shortly to discuss your request and to provide a quote.